We offer road freight services throughout Europe (and beyond) and have longstanding relationships with a number of well known companies and household names. As an independent freight forwarder we have the ability to search the market for the most cost effective route – we firmly believe that the cheapest headline rate does not necessarily provide the most cost effective or efficient service. Our aim is always to find the best solution for your requirements. If you choose to use our Road Freight services you will be allocated a dedicated account manager and experience personal, friendly attention from your first enquiry until the job is finished. Italy is a busy destination for us at Grange Shipping. 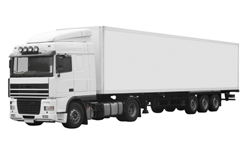 Our regular road freight services leave on Tuesdays and Fridays. However, Italy is also one of our European Express destinations. So for smaller shipments, we can get 1-4 pallets collected and on the road within 3 hours of your call. If we can help you get freight to or from Italy or indeed any other global destination, please call us on +44 (0)1394 605200 or send an email to wendy@grangeshipping.co.uk and we will help you price up yor next shipment. France is one of our most in demand destinations. With shipments leaving daily, we are experts at getting freight to and from all departments - from Pas De Calais in the north to Pyrénées Orientales in the south and everywhere in between.